Get two financial advisors talking at a bar, and pretty soon you’ll be breaking out a dictionary to keep up. The mathematics behind portfolio management would challenge even the wonkiest economist. Yet a fundamental idea in retirement investing is easy to illustrate and important for the do-it-yourself investor to understand: risk-adjusted return. Picture yourself standing on a basketball court. There’s a minute left on the clock and your team is down by two points. The ball comes your way. You look down and realize that your feet are on the outside of the three-point line. If sink a shot now, there’s nearly a full minute still on the clock. In theory, you’ve just won the game, but the other team might quickly recover. All they would need to do is put the ball back down court and manage a layup and they win. You also might miss that three-point shot and put your team into a world of hurt. There’s no guarantee your teammates will get the rebound and score a two-pointer to put the game into overtime. The safer route is to drive in to the basket and get that two-point shot and force the game into overtime. A third option, and the riskiest move by far, is to wind down the clock to, say, 20 seconds and then take the three-point shot. Now you have to sink it, or all is lost. Risk measurements come in various flavors and Greek-letter nicknames: alpha, beta, r-squared, standard deviation and the Sharpe ratio. 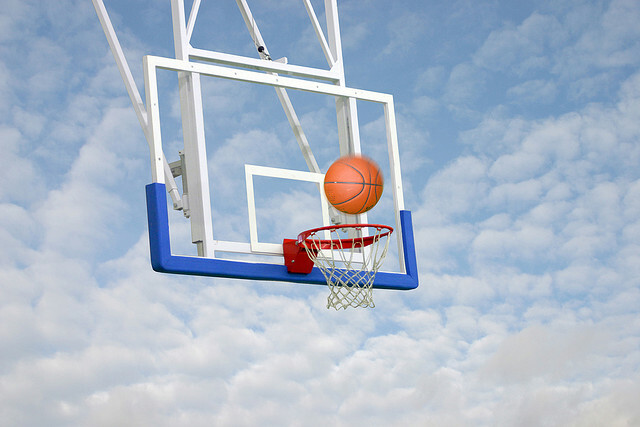 For our purposes, it’s simpler to consider the basketball game example, that is, if you have three investment choices — one that is relatively safe and keeps you in the game and two others that might pay off or might kill you — which do you choose? For the long-term retirement investor, it’s always the safest investment that keeps you in the game and playing on. If you target a return of, say, 9%, then you want the investment mix that gets you to 9% on an annualized basis with the least amount of risk. An investment might come along that promises 12%. It looks attractive and would compound your money a bit faster. But how much risk will you take to get that extra 3% in gains? If the answer is “not much,” it’s a no-brainer. Buy the investment. However, if your analysis reveals that you would double or triple your risk of a major loss, the decision is easier. Take the safe investment that keeps you in the game. Major short-term losses, even on paper, trigger all kinds of dangerous emotions. Facing a market going against your positions, it is too easy to take even bigger risks to compensate. In essence, you’ve wound down the clock and you have to sink the three-pointer or lose the game. It’s a horrible place to be as a retirement investor. A balanced, diversified portfolio keeps you in the game in all markets, irrespective of the clock. Not only will you get the gains you need, but you will live to tell the tale. Would You Recognize A Bubble Before It Popped?